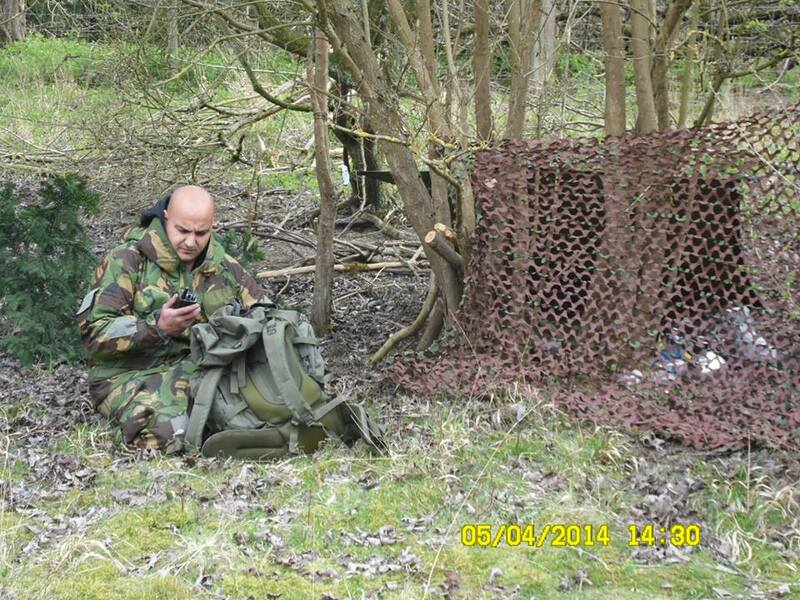 Camouflage is the utilisation of colour, background, outline and concealment to evade detection in any given area. By understanding and deploying camouflage techniques you can evade the attention of other people with ease. Camouflage techniques are extremely useful with activities such as stealth camping, wild camping, hunting and wildlife watching. These activities require knowledge of wild environments especially dense scrub and woodland. When attempting to rest up in wild places the use of basic camouflage techniques is extremely effective for concealment. Background, landform, vegetation, and areas of low activity are all elements you can use to your advantage. Most of the time your aim will be to evade people like a wild creature. This idea is fundamental to concealing yourself in the woods. In order to become an expert in this discipline you have to think like a wild animal. Camouflage techniques have been utilised by nature for millennia. Although not a conscious process millions of years of evolution is testament to how effective it is for concealment. Nature has found amazing ways to use the art of concealment for the survival of many species. Predator and prey alike benefit from the concealment which camouflage techniques provide. One of the most common forms of camouflage in nature is mimicry. Some of the best examples of this are stick insects and moths which look just like leaves and twigs. This amazing camouflage technique is simply imposable to detect unless the target moves. Less obvious examples of this in nature is wildlife evolving to match their surroundings. Many amphibians and reptiles use this type of concealment which disguises them within the landscape. Many other animals like leopards use mimicry in a less obvious way. The rosette patterns of dark and light markings blend perfectly with dense scrubland and meadows. This makes use of the chessboard of light and shadow in the landscape. Mimicry is a camouflage technique most commonly uses by humans. Military personal will wear military, Khaki clothing as well as attach vegetation to blend into their environment. This method can also be used in stealth camping, wildlife watching and hunting. Some of natures camouflage techniques go well beyond just blending into vegetation. The rather striking and dazzling shapes and colours of creatures like zebra are difficult to rationalise. Moving as one a herd zebra with its lines and shadows can become a confusing mass to predators. Lions and other predators can find singling out a single Zebra quite simply imposable. This is an example of just genius camouflage in nature can be. This breaking up of outline is one of the animal kingdoms very effective camouflage techniques. This method can also be mimicked by hunters, wildlife watchers and stealth campers. Using vegetation and landform to break up man made lines is a fantastic camouflage technique. 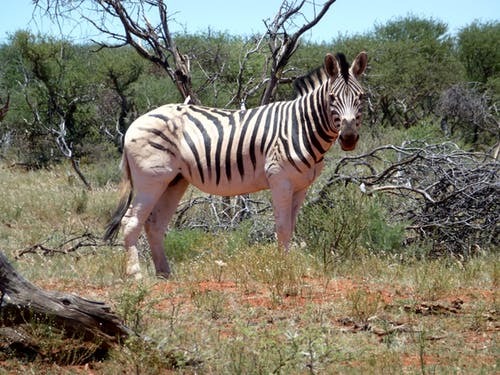 Some species of creatures can actually change the pigment in their skin to mimic the colour of their surroundings. 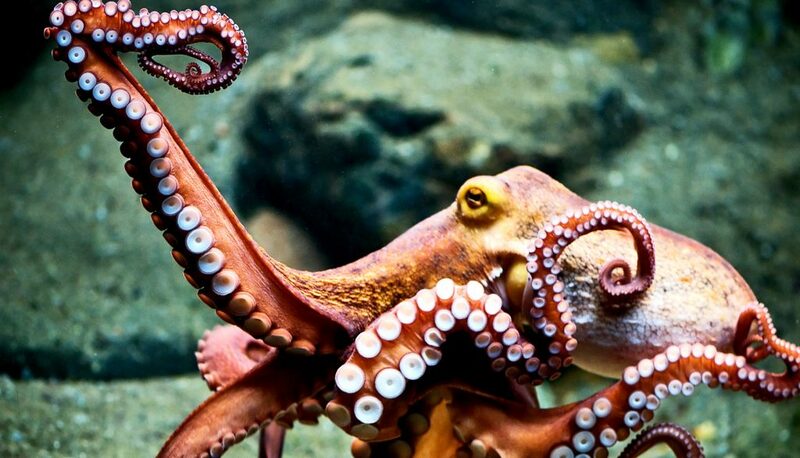 Creatures such as chameleons and Octopus literally blend into their backgrounds. This enables them never to be caught by predators wherever they are. These adaptive camouflage techniques can also be used by people. Nearby vegetation and wet mud can be used to hide stealth camping, hunting or cameramen hides. Modern technology is being developed by the words militaries to use the concept of adaptive camouflage techniques. These are being tested to camouflage tanks and military vehicles especially from airborne attack. It is believed that there are new military uniforms that can also use this technology. Some of the most common associations we have with camouflage is military equipment and uniforms. Khaki is a typical camouflage pattern or effect consisting of a random patchwork of tones common to a given area. Most typical are the browns and greens of both lush tropical and temperate vegetation. There are different yellow, grey and brown versions for dry, arid desert environments. It would seem obvious that mankind would adapt natures camouflage techniques for his own combat use. This however, surprisingly was not the case until really very recently. 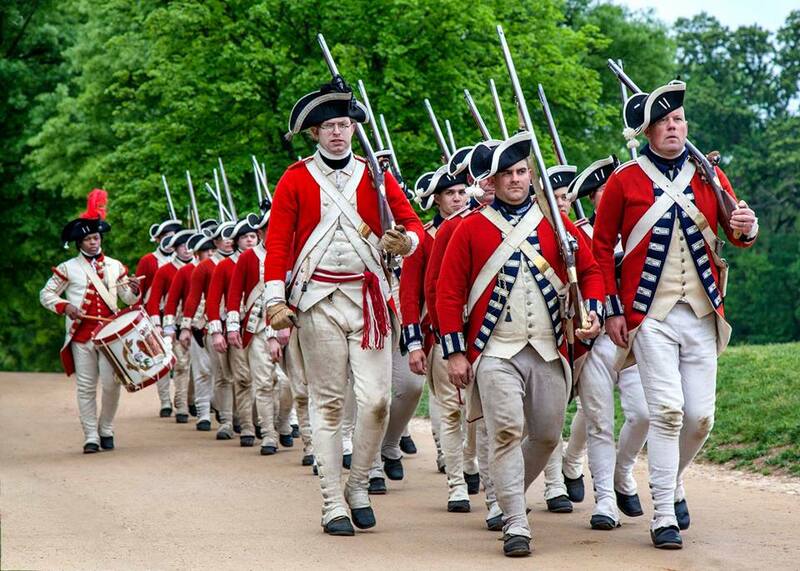 Up until the mid 18th century many large military armies such as the French and British used rather colourful uniforms. Classical loud red and blue uniforms seem rather suicidal today but there is an extremely good reason for this. I these early days of mass warfare battles were fought at much closer range than modern times. Muskets were usually not very accurate with most battles ending up fighting with swords and bayonets at close quarters. In these brawling battles it helped for it to be painfully obvious who was friend or foe. Many colonial armies had to learn the hard way that these sorts of uniforms were extremely impractical. During battles for Canadian territories in the 17-18 centuries the French and British fought a long bloody war. The colonials enlisted the help of local tribes to help fight against each other. The tribes who had a much better understanding of woodland battle tactics had a huge advantage even against European fire power. It became obvious that colonial uniforms were completely impractical for woodland warfare. As weapons improved at the end of the 19th century there was a huge improvement in the range and accuracy of fire arms. This meant standing out in anyway was quite simply like signing your own death warrant. Making yourself hidden in the landscape was never more important for modern warfare. As the first battle aircraft took to the skies being able to stay hidden became yet again even more of a priority. Hence the 20th century saw the implementation of full, modern camouflage techniques we now see today. As people are the most ferocious predator on the planet it is no surprise that wildlife does its best to avoid us. Wild animals are great study subjects when trying to deploy camouflage techniques in the wild. When planning stealth camping or hunting trips you should investigate site before hand. You will have to become an expert in distinguishing between animal and human trails. 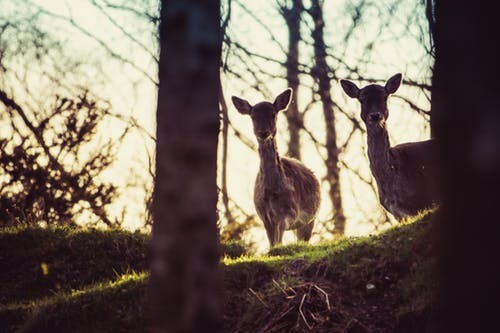 Skittish prey species such as deer are the best animals to study for woodland concealment. Their trails are often narrow but well trodden usually passing through dense thickets. By studying the movement of deer in a given area you can establish some of the best places to hide. Studying these will show how deer have multiple escape routes even in the most secretive of locations. Tracking and studying landscape patterns before an expedition can give you a powerful edge. Understanding how prey species move through an area is an aid to woodland camouflage techniques. The ultimate model in nature for applying camouflage techniques is wild cats. Most wild cats use stealth to hunt for their prey. Cats very rarely have the ability to run down prey! The art of ambush is usually applied here. Cats use camouflage techniques themselves to blend into their environment. It has been discovered that cats have an awareness of their own colouration. By their very nature cats will position themselves into places they blend in. 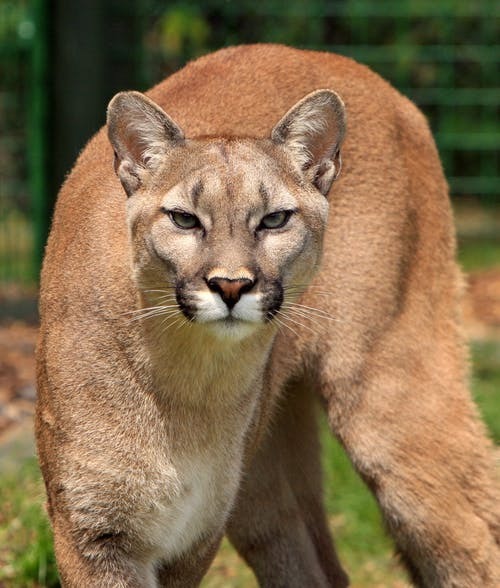 Two of the top cats in the world for avoiding human detection are the leopard and Puma. Both of these cats are large and capable of taking down large animals including people. These cats are large, wild predators but have managed to make a living under our very noses. In Africa, Asia and The Americas these cat species have managed to make human settlements their homes. 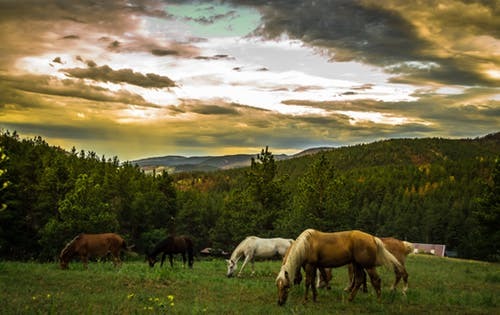 With large amounts of domestic animals with ample food availability towns are places of plenty. Recent studies on urban Pumas and Leopards have made some remarkable discoveries. They will use human infrastructure to their advantage to remain hidden and move without detection. Railways, drainage networks, rubbish tips, derelict buildings, waterways and industrial areas are used by these cats to live amongst the urban fabric. Pumas and leopards are nature’s experts in camouflage techniques! We can learn a lot by studying their habits and by trying to picture ourselves as one in the landscape. This may seem like a foolish idea to some and irrelevant to the subject of camouflage techniques. This type of tactical thinking however is applied by Special Forces and tracking experts. To enter into the psyche of these predators you can perceive the environment in a different way. This can influence how you move through the landscape and uncover the best places to conceal yourself. Trackers like Ray Mears have employed this kind of tactical manoeuvring. It is extremely useful for activities like stealth camping. Stealth camping is very similar to wild camping but with the exaggerated need to remain hidden. This may be due to a lack of permission to camp in a location or simply the joy of wild solitude. Stealth camping is a rather thrilling concept of living on the edge of humanity being undetected by civilisation. Stealth camping mimics wild survival but with intent of a special forces soldier. This is what makes stealth camping so exhilarating to people that engage with it. Camouflage techniques for stealth camping include; locating hidden camps, concealment, tracking wildlife and vegetation mimicry. Wildlife watching and filming requires an extraordinary amount of patience, audacity and perseverance. Trying to view these wild species which call for camouflage techniques for concealment are found in wild, far to reach places. Attempting to watch wildlife can take people to remote locations where knowledge of survival is essential. This kind of wildlife surveillance can be extremely challenging for everyday and is far from comfortable. In order to have a chance of watching or filming wildlife camouflage techniques are essential. Some of the most important skills of the wildlife watcher is tracking. Once they have identified a likely place for the species they pursue they must select a view point. Once they have done this camouflage techniques can be applied. Wildlife watchers build hides and viewing platforms covered with camouflage tarps. 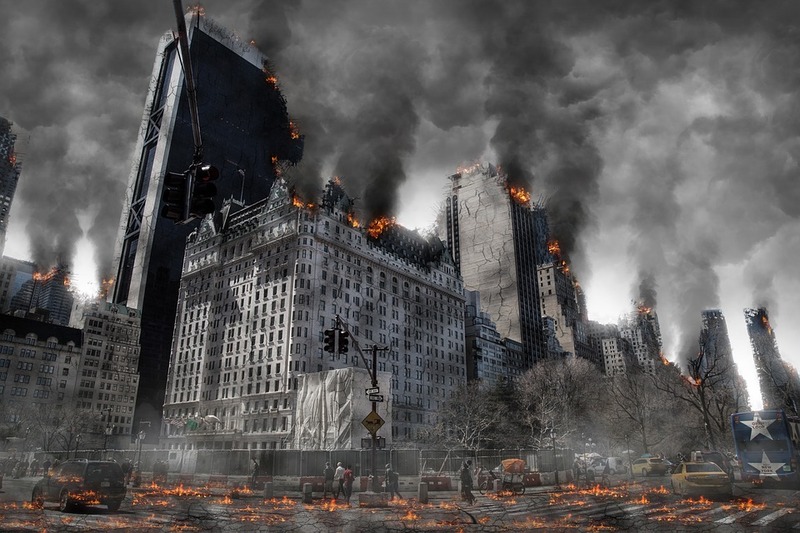 Some will cover themselves in the smoke of fires to mask human scent. Wildlife watchers also aim to be facing the wind from where they think animals can be viewed. Wildlife visuals like these can last week’s so require survival knowledge and concealment. Humans have been hunting for millions of years long before we started to practice agriculture. Hunting evokes a primal excitement deep inside which is difficult to replicate. Hunting very much like fishing requires hours of solitude within naturalistic environments. These activities have been proven to calm our senses and reduce stress. With all the anxieties of the natural world it is no surprise that people enjoy the discipline hunting provides. Today there are so many different forms of hunting. 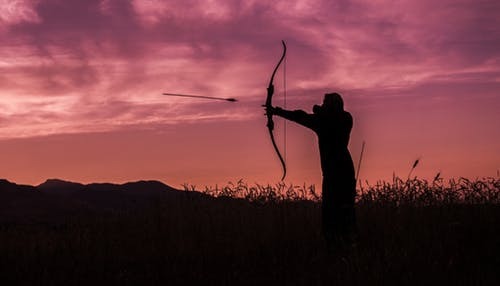 Some of the most popular types of hunting types are air gun sports, bow hunting and deer hunting. All off which require getting close enough to land an accurate and humane shot. This is half the skill of hunting as wild animals are masters of their environment. Becoming a good hunter requires knowledge, skill and patience. 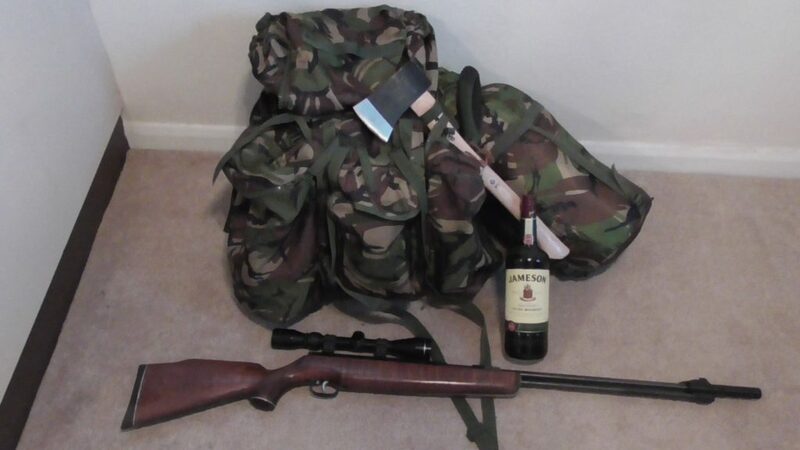 Some of the main camouflage techniques for hunters include. 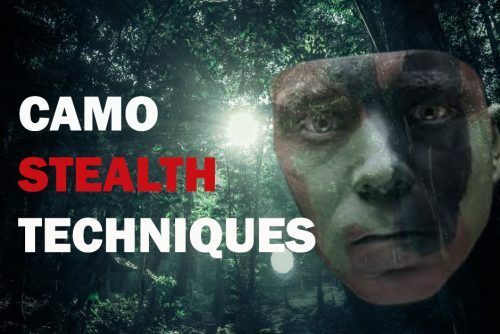 Site selection, adaptive camouflage, mimicry, body camouflage techniques, survival and hide concealment. When concealing yourself in the landscape terrain can be an extremely important element. For stealth camping or defensive military positions a high vantage point can be extremely beneficial. A camping location providing commanding views gives you the advantage. These provide the opportunity to assess any advancing people before they see you. Hilly or steep terrain also gives you the opportunity to stay hidden from others. Dog walkers and hikers usually stick to the pathways along the tops of hills or valley bottoms. Steep wooded hillsides usually have flat platforms or troughs halfway down which make fantastic places to hide. These flatter areas are perfect for stealth camping in particular. Natural hollows in hilly country can also provide great places for concealment in the landscape. Even in reasonably populated country people generally like to stick to footpaths. This is especially the case on steep wooded ground. 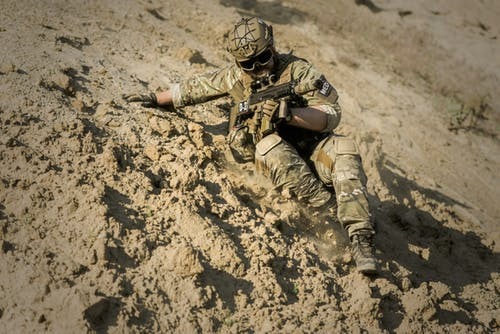 Terrain can provide countless opportunities to apply camouflage techniques and stay hidden. These are the perfect conditions for wild camping and wildlife watching. Mountainous places by their very nature are sparsely populated and wild. These landscapes not only have steep secluded places to hide them also have rocky outcrops. Rock formations can be fantastic places to hide and stay out of view from people. Above all mountains provide breath taking views and scenery. 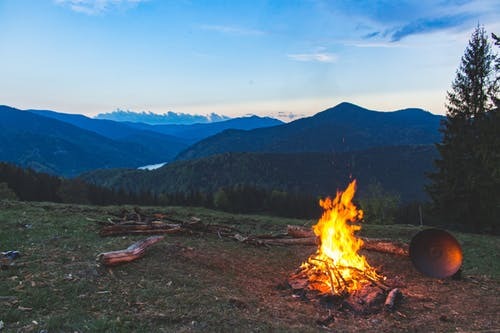 This can make activities like wild camping spiritually invigorating and refreshing. Even in places where wild Camping is illegal such as England mountainous areas are simply imposable to enforce. With breath taking scenery, natural wonders and countless places to hide mountains are easy places to stay hidden. Camouflage techniques can be as simple as owning a green tent. A word of warning, mountains are unpredictable environments which can be highly dangerous. Always make sure you are prepared for emergencies, never go alone! Make sure someone you know knows what route you are taking and when you are expected back. Woodlands are classic environments where camouflage techniques can be implemented. 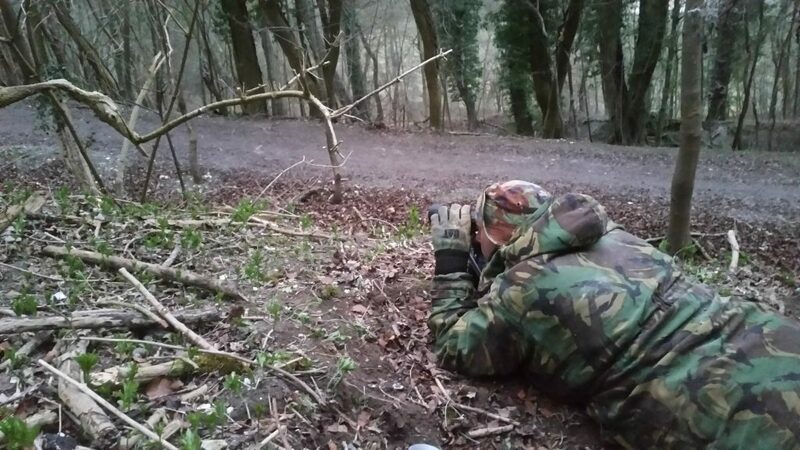 Woodland concealment can be fun opening up potential for a multitude of skills and activities. 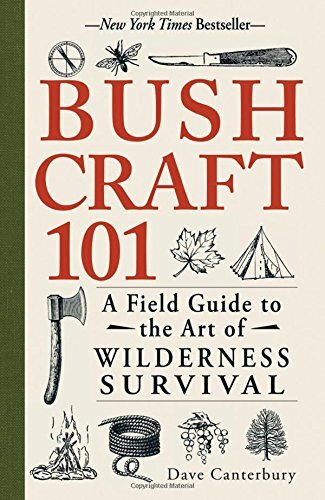 Bush craft is an exciting way of experiencing the woods. Kills such as den making, wild camping and base camp construction are great fun. There is nothing like experiencing a true woodland wild camping expedition. Woodlands are fantastic places to escape the stresses of modern living and experience nature. 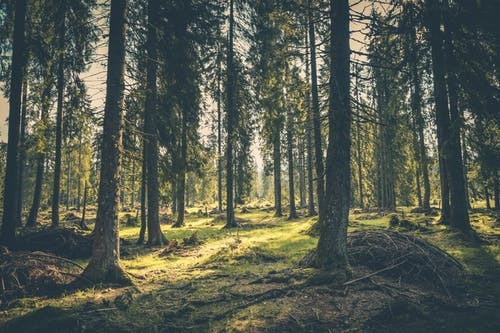 If stealth camping, hunting or wildlife watching woodlands are some of the best places to practice camouflage techniques. If camping try to make sure no hunting takes place within the woods. Look for evidence of hunting or do your research before you set off. Marshland is not always the most desirable place to be when planning a wild camping trip. They are however extremely good places to hide hunt and view wildlife. A combination of adequate water, high biodiversity, thick cover and no people means they are secluded and wild. This makes wetlands perfect places to hide out and implement camouflage techniques. Marshes are perfect for both bird watchers and hunters. Many wetland parks have stationary bird viewing dens for this very reason. Dense reed beds can make fantastic places to install floating and raised platforms. These can be covered by tarps and camouflaged with vegetation. Secret hard to access islands in wet meadows can be effective places to hide out. Beware that these environments are full of biting insects especially at night. Never access these landscapes unless you know the area and have safety backups. 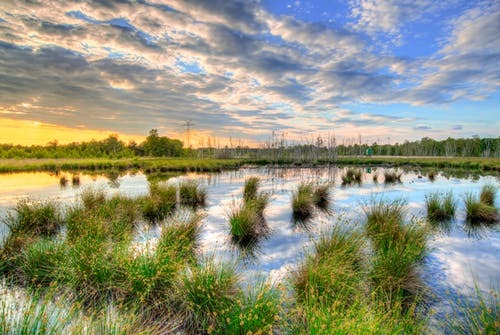 Wetlands can flood in a matter of minutes leaving you trapped from civilisation. Meadows are expansive grasslands that can reach a height of over a metre during the summer. 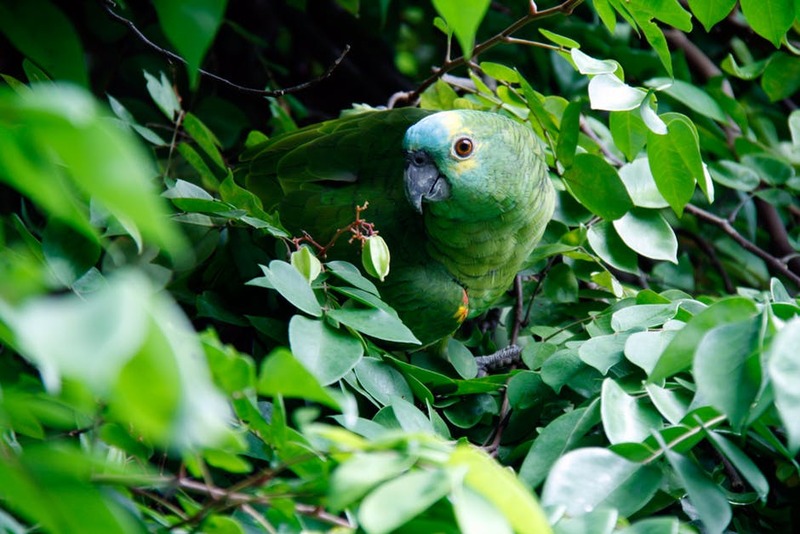 They can be incredibly rich in wildlife and provide dense thick vegetation in which to hide. This makes meadows great places to rest up and hide. It is usually the case you do not even need to use camouflage to hide in thick meadows. Be wary of camping in these places unless you have permission. Meadows are usually cut with heavy machinery or grazed by large animals which can be dangerous. 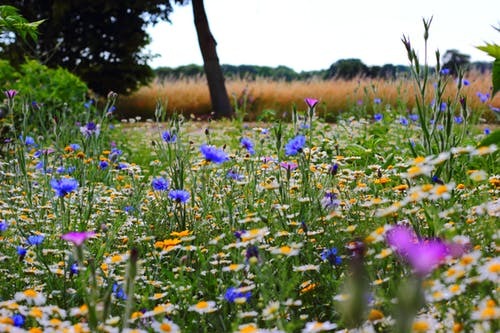 Meadows are easy places to hide in summer but extreme caution is required. Urban areas can provide some remarkably secretive and hidden places. Like urban warfare it sets a whole range of different circumstances and challenges in contract to wild environments. In regard hunting urban is not really common place for obvious reasons. There is however quite a good range of urban wildlife to look for if you know where to look. I used to live in a flat where you could access the roof and watch fox cubs play on a vacant plot. Urban places do hold the potential to implement camouflage techniques for these kinds of activities. Believe it or not urban stealth camping has started to become popular in some circles. Some urban stealth camping locations have been next to railway lines, industrial estates, vacant plots and urban waterways. I would like to point out I do not think this sort of camping is a great idea. I would rather camp out around grizzly bears that city people at night. Whatever type of activity you pursue to employ camouflage techniques you will certainly require Equipment. There is a vast array of camouflage gear available covering a wide spectrum. Some of these include stealth camping, survival, wildlife watching, hunting and prepping. We have put together some of our favourite equipment for implementing camouflage techniques here. This is an important part of concealing yourself in the landscape. Clothing should be able to blend in while protecting you from the elements. Check out our favourite camouflage clothing here. Bergen’s are crucial for carrying your kit to out of the way places. Whether you are just out for the day or spending multiple nights Bergen’s are extremely useful. Check out our favourite Bergen’s here. Tents come in a vast array of shapes and sizes and great to spend time in the great outdoors. We have put together some of our favourite camouflage tents here. Sleeping bags are the best way to spend cold nights in the wild. There are varying temperature grades for different environments. Sleeping bags can give your position away if brightly coloured, we have put some good examples here. 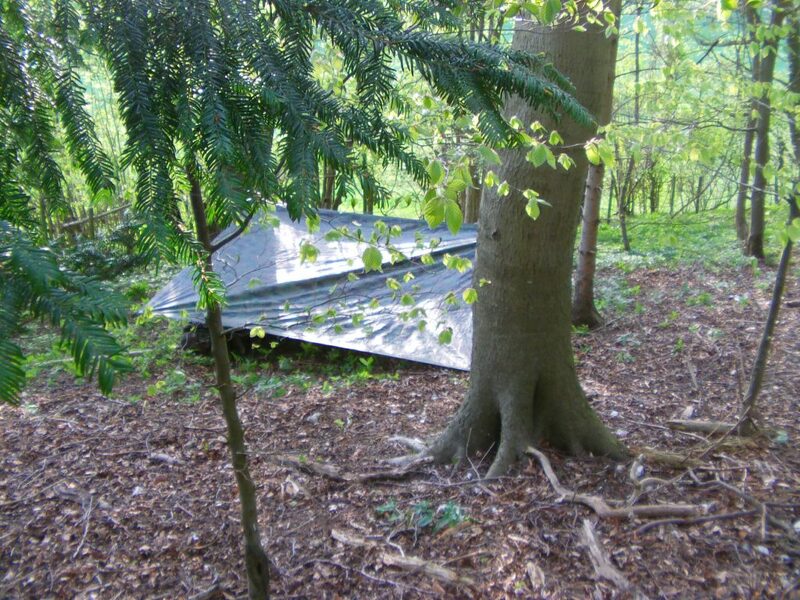 Tarps are great for creating quick shelter from the weather, they can also work well with hammocks. Check out stealth camping Tarps here. 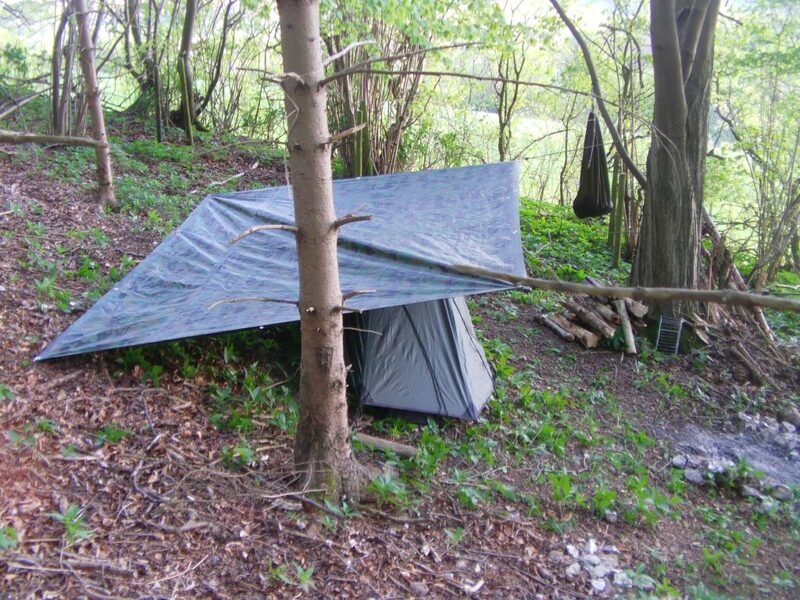 Bivys are an even simpler method of shelter then a tent they can keep you dry while keeping your outline hidden. Check out some of favourite here. Hammocks are easy and quick to assemble. They are comfortable but can be noticeable in the landscape from a distance. Check out the best hammocks for camouflage camps. These are great for breaking up outlines and hiding camps. A great link to buy these on Amazon here. When trying to go undetected in the landscape cooking can give away your position. Below is some gear that can help with cooking in these situations. Check out stealth camping stoves here. Camo cream is perfect for concealing your hands and face when applying camouflage techniques in the wild. Check out camo cream on Amazon here. Here are some great books which expand upon the subjects discussed in this article. I hope you enjoyed reading our article on Camouflage techniques! Did it help you in your search for what you were looking for? What do you use camouflage for hunting, fishing, stealth camping or wildlife watching? You can comment below! If you enjoyed the article or found it useful why not share it with your friends? This really inspires us to write more useful content in the future. Thanks again from Stealth Camping UK.